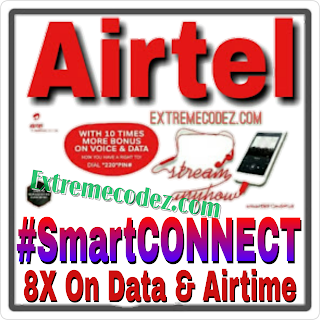 Lets welcome Airtel SmartCONNECT 5.0 plan this is available for new customers Only and if you want to make use of the new plan then you’ll need to get a new SIM, all of which come with SmartConnect plan already. 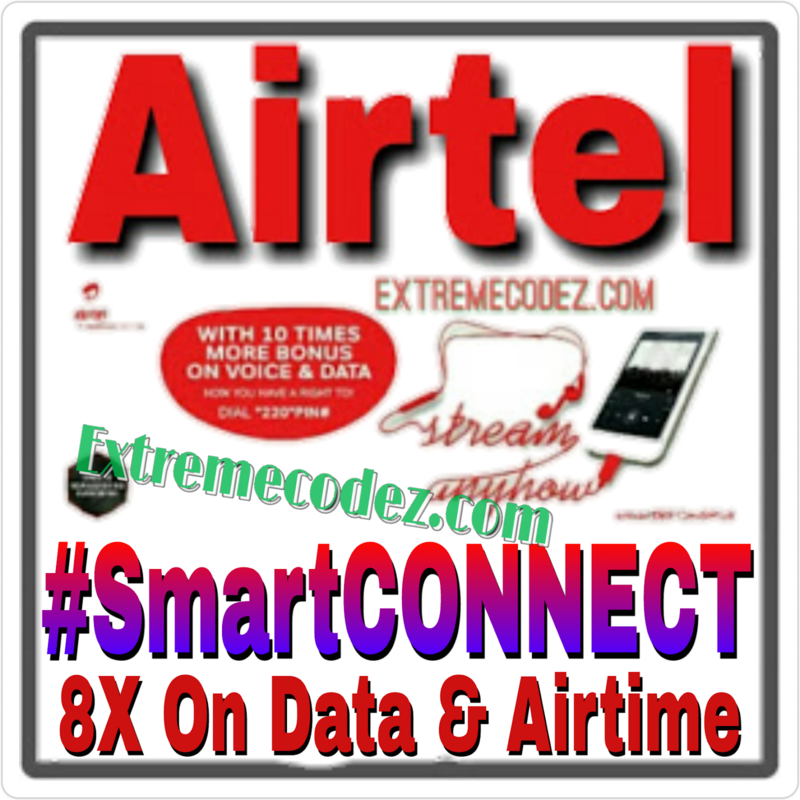 We'll be talking about the Airtel SmartConnect 5.0, with everything you need to know about this plan from Airtel. SmartConnect 5.0, users are given 8x their recharge on any recharge above N100 and also double any data bundle you buy. SmartConnect has been Airtel’s default plan but with this upgrade, you can see some changes were made. 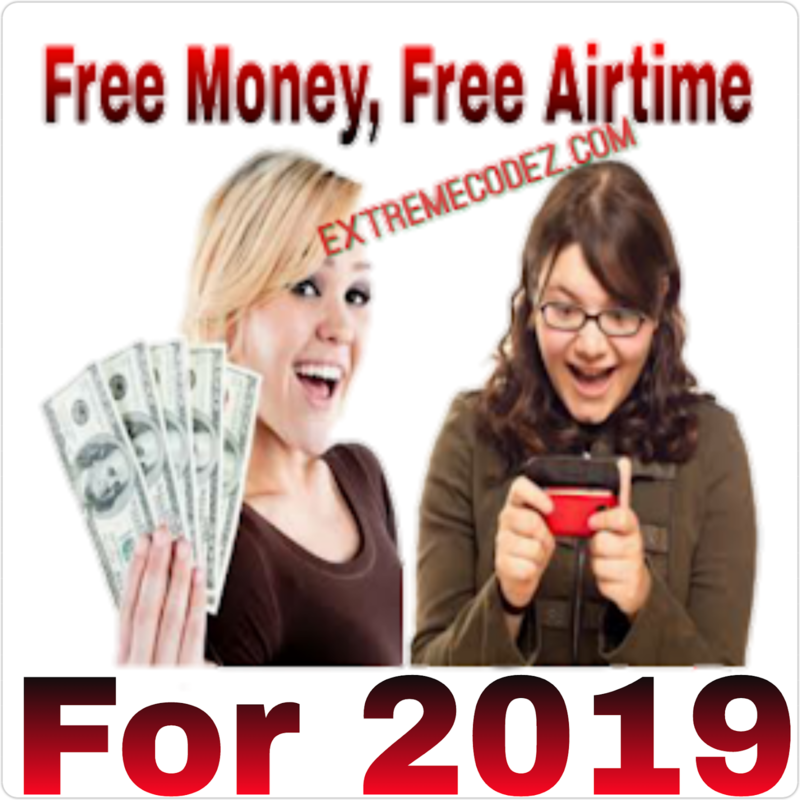 However, the 8x recharge and double data on this plan aren’t that straight forward so we will be explaining them just to help you get a better understanding of the plan. Recharges on this new plan give 8x recharge, however, all the bonus does not go to one account. They are split into different accounts and each one has a specific purpose. Minimum recharge for the 8x offer is N100 and there is no maximum limit. And N200 recharge gives you a total of N1600; N200 in your main account, N200 bonus credit, N500 data Bonus, N500 bonus credit for family and friends and N200 for a social bundle. The more you recharge, the more you get. You also get the Bonus if you recharge through any other means like Mobile banking, Quick-teller etc. Dial *311 *2 *Airtel number# to add a number. Dial *311 *3 *Airtel number# to remove a number. 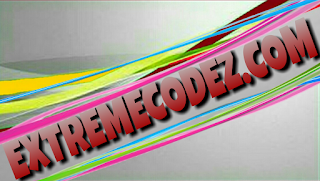 Dial *311 *4 # to view all your registered friends and family. Users on the SmartConnect plan also get a 100% data Bonus which basically means you get double of all your data purchased, up to N4000. Any data plan above N4000 like the N5000 data will not be doubled; only N4000 data plans and below. So all you have to do is recharge your new Airtel line with *126 *1# and subscribe by Dialing *141# to select your data plan and you will be given double the data of the plan you choose. The SmartConnect 8X recharge and double data are only valid on the new SIM for just 90days, after that everything goes back to normal and there will be no double data or 8X recharge. We'll be talking about the Airtel SmartConnect 5.0, with everything you need to know.